The State Bank of India (SBI) released the 2018 SBI Clerk Result for Mains exam on 8th October 2018 on the SBI official website. You can check SBI Clerk Result 2018 through your Registration Number and Date of Birth. You will need to secure the required minimum qualifying marks in both the overall and in each section of SBI Clerk Mains exam, in order to qualify in the exam. However, provisional allotment will be based on merit, i.e. on the basis of the marks secured by the candidates in the Main exam. 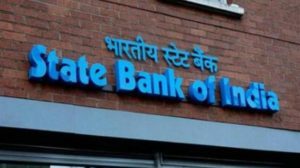 we have out together more information regarding SBI Clerk Result 2018. The cut-off for SBI Clerk Mains Exam will be updated here soon. Step 1 Visit the official website (sbi.co.in). Step 2 Go to the Career section and click on the link for SBI Clerk Result 2018. Step 3 Enter the following details – Registration Number and Date of Birth / Password as asked in the login panel. Step 4 Click on the “Submit” button. Step 5 SBI Clerk Result 2018 will be displayed on the screen. Step 6 Check all the details. Total weighted score = score obtained in (Reasoning + Quantitative Aptitude + English). Step 7 Download and print a copy of the SBI Clerk Prelims Result for future reference. Along with the SBI Clerk Mains Result, SBI will also declare the SBI Clerk cutoff. Once released, we will update it here. Don’t be demotivated if you don’t get a pass in the exam. Stay motivated and confident, you will still get many opportunities in the future. Make the free bank mock test series on their website. We hope this detailed article on SBI Clerk Result helps you. We wish you all the best!